Wellington is located 75 km north-east of Cape Town in the heart of the world-famous Cape Winelands. 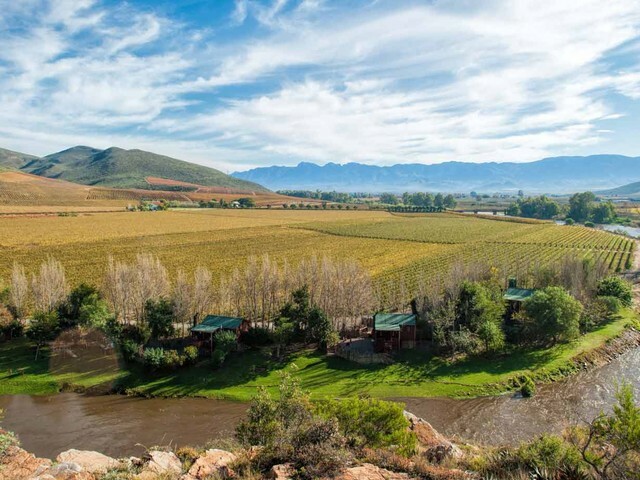 The town is within easy travelling distance of most Boland towns such as Stellenbosch, Paarl, Malmesbury, Tulbagh, Franschoek, Riebeeck Kasteel and Ceres which all offer attractions of their own. The beaches to the south (Gordon’s Bay, Strand, etc) and Bloubergstrand to the west can be reached within a three quarter of an hour’s drive – near enough for an afternoon drive or a day out. Most Wellington properties are traditional freehold. Several Wellington housing developments (flats and complexes) were established since 2002. The architecture style of Wellington properties varies from typical Cape Dutch, Victorian and Cottage in the older areas whilst complexes offer a variety of Tuscan, New Victorian, modern Cape Vernacular and conventional face brick style property. Flats in the town centre were established mainly to accommodate students of the Cape Peninsula University of Technology and the Huguenot College, smaller families and young upcoming professionals. Senior citizens have a choice out of a variety of Wellington property and housing including retirement villages, flats and town houses. Wellington property is unique – charming, historical, eclectic and enchanting. Wellington (previously known as “Limietvallei” and later “Val du Carron” (The Wagon Makers Valley or “Wagenmakersvallei”), was established in 1840, through the efforts of Dr John Addy. “Val du Charron” became Wellington in honour of the Duke of Wellington, renowned soldier and conqueror of Napoleon at the Battle of Waterloo. The majestic Hawequa Mountains watch over the valley, which lies at the foot of Groenberg. The Kromme and Limiet Rivers run through the town and have a cooling and calming effect on the picturesque environment. The beauty of the town (fynbos, wine, olives and the historical buildings to name but a few) can be viewed by foot, by horse or by car. The Mediterranean climate offers sunny dry and hot summers and winter rainfall. Winters are rainy and cold with snow on the mountains and might be interspersed by beautiful sunny days. The population of Wellington is approximately 50 000 with an additional estimated 1700 students at The Cape Peninsula University of Technology and 600 students at Huguenot College annually. Wellington is literally home of the vine – almost 90% of the country’s vines are grown in vine grafting nurseries (“stokkieskwekerye”) before they are sold and planted in vineyards national as well as international. The Wellington Wine Route consists of several cellars, well-known estates and smaller boutique wineries that produce acclaimed and award-winning wines. 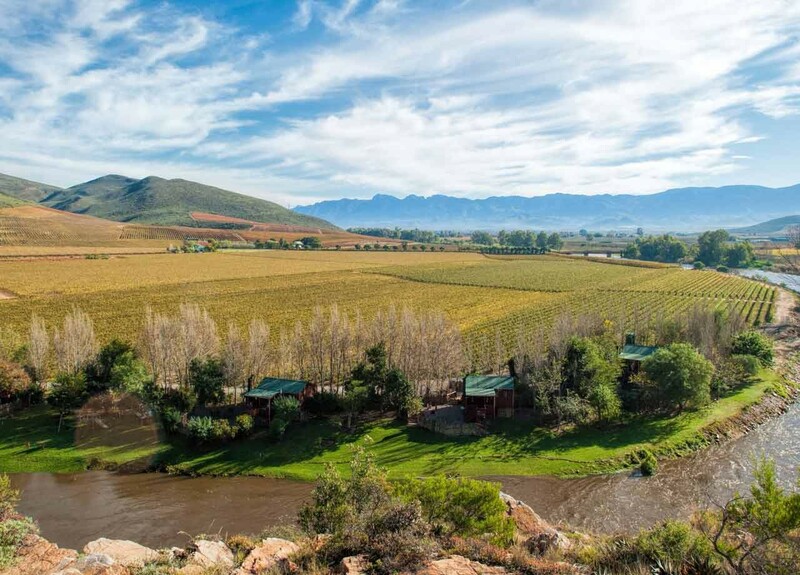 World-renowned wine farms are home to immaculate manicured vineyards and fine Cape Dutch homesteads. Quite a number of National Monuments can be found in Wellington. One of these is Bain’s Kloof Pass which blends in perfectly with its natural surroundings. It was named after the famous Andrew Geddes Bain who, without any formal engineering training built a road across the Limiet Mountains. This was the first and only thoroughfare between the Cape Settlement and the interior in earlier days. The pass up to Bain’s Kloof winds through pine tree plantations, to the summit where, on a clear day you can see vast areas, such as Wellington, the Swartland, Cape Town on the horizon (the Mother City) as well as Table Mountain. Another National Monument is the well-known Andrew Murray Congregation of the Dutch Reformed Church which was established in 1838. Andrew Murray was the minister from 1871 to 1906, and lived in Wellington until his death in 1917.Some of the other religious denominations include Presbyterian, Anglican, Apostolic Faiths, VGK, First Love, APK and “Familie van Christus”. Wellington museum adds further interesting facts with its various exhibits and memorabilia on the history of Wellington and South Africa. Wellington is home to the renowned Boland Kavaliers rugby team and their home games are being played at the local Boland Stadium. The town is an academic centre. Primary and secondary schools such as Huguenot Primary, Hugo Rust Primary, St Albans Primary, Huguenot High School, and Berg River Senior Secondary School to some form the backbone of future post school education. Numerous pre primary facilities and play schools also exists. Private schools such as Bridge house are within close range. Post school education is offered by Cape Peninsula University of Technology, Huguenot College, Bible Media, The Timothy Ministry Team, etc. Various well known shopping retailers, quick food outlets, cafes, liquor stores and garages are located in Wellington. The local library is within walking distance from all schools and most suburbs. The nearest hospitals are situated in Paarl – 12 kilometres from Wellington. At least four doctor practices to choose from in case of emergencies and illness.